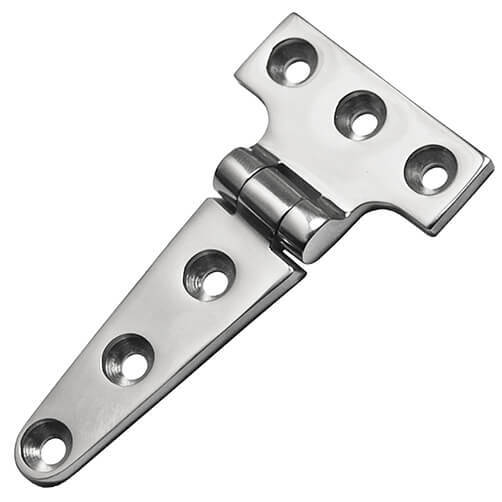 High quality stainless steel hinge ideal for motor boxes and engine hatch covers on boats and barges. 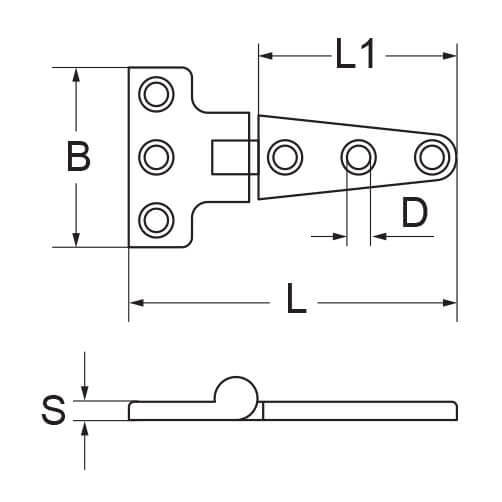 100mm Tee strap hinge for a wide range of DIY and residential uses. Suitable for use in harsh environments. Manufactured from 316 (marine) grade stainless steel, for both interior and exterior use. High quality finish with 6 countersunk fixing points. No.10 Countersunk Wood Screws for 100mm Tee Strap Door Hinge.